NYC is Blue: Glick "On the Way Out"? Glick "On the Way Out"? 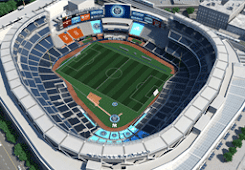 It hasn't been the dream season that New York City F.C. envisioned, far from it from the MLS debutantes who have struggled on the field and look like they won't make the playoffs. And now the club is set to lose the man atop the organization who is likely heading back to England. Tom Glick, the team's president, will be leaving the expansion side - a source from the league office tells Metro. Hired after New York City F.C. 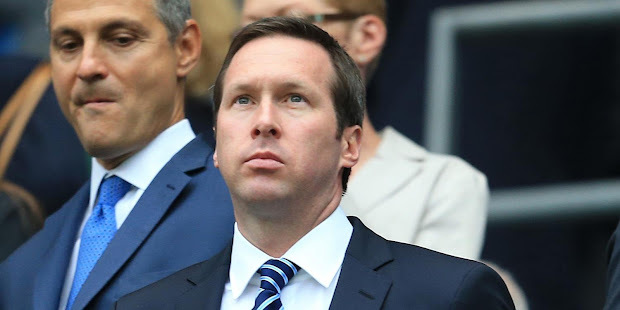 's first president, Tim Pernetti, left in January, Glick is going to head back to a role with Manchester City, the source said. The franchise has hired noted headhunter firm Korn Ferry to take the lead in the search for a new chief executive. The league source, speaking on the condition of anonymity, said that "they are down the road with the search process." One candidate has emerged, the source said, who has strong European ties, which would obviously appeal to Manchester City Football Club - the owner of New York City F.C. Korn Ferry has been utilized in numerous high-profile executive searches for sports teams, including the hire of John Idzik several years ago by the New York Jets. Off the field, the expansion side has enjoyed notable success at the gate in their inaugural year, averaging 28,695 to Yankee Stadium - the third best attendance average in the league. But on the field, success and turmoil with the infusion of key signings that don't mesh with head coach Jason Kreis' style have led to a season of frustration on the pitch. The team also has made little progress on the hunt for a new stadium. That last line might say it all. I've long thought that Pernetti was shown the door after he failed to make any headway on the stadium situation, and there's no indication that Glick has been able to do any better during his brief spell in charge. What I don't like is the notion that City Football Group will bring someone in from overseas. Give us somebody steeped in if not New York, then at least MLS. Manchester City to Change Badge?